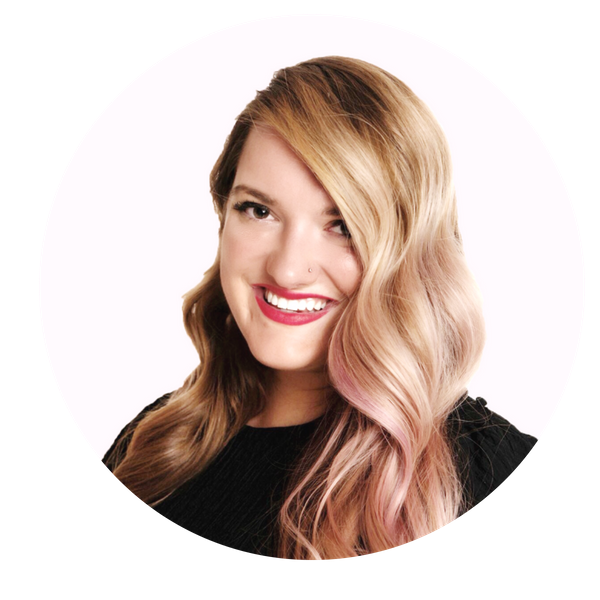 Next up in our Fierce & Fearless Biz Owners series is Jessica Brennan of Whimsy B Paperie. 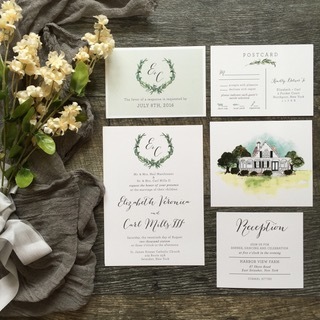 Jessica is a super-talented stationery designer and a fellow estate sale and vintage lover! I'm so excited to share her business story with you. Where can we follow you? On Instagram and Facebook! Tell us about your business - what do you do/sell? I’m a stationery designer and sell wedding invitations and correspondence. How did you get started in this industry? I went to school for marketing and graphic design so I’ve always been a part of the creative world. When I got married I designed our wedding invitations and from then I started designing and selling my work and it took off from there. What did you do before starting your business? I worked for L’Oreal and Maybelline as a marketing and planogram specialist. What are the biggest rewards in running your business? The creative FREEDOM! Not having to answer to anyone. Being able to work when you want. Seeing your dreams come to life and knowing you started it from the ground up, it’s truly an amazing feeling. What are the biggest challenges? As silly as this sounds, having too many new ideas and not enough time in the day to implement them all. Another challenge is the responsibility that everything falls on you, there’s no one else that’s running the business but you, so sometimes it can be a lot of pressure. What's your favorite recent project? Tell us why you love it so much. The Artisan Calligraphy Collection, it’s a new design line that features both calligraphy work from preferred calligraphers that we work with, and also includes design work from Whimsy B. Paperie. It’s a beautiful mixture of design and hand calligraphy, creating a unique suite for the bride and groom. What's your favorite social media platform to use for your business? Instagram, hands down. We get the most feedback and responses from this social media platform, it’s our number one source when posting. Give us one fun fact about yourself! My husband and I love antiques and finding vintage treasures for our home. All the furniture in our home has been found from estate sales, antique shops, antique shows and more. We have refurbished a lot of the pieces and can’t wait to share a big project we have coming up! Make sure to follow Jessica on Instagram to see more of her pretty work! If you want to read the rest of our Fierce & Fearless Biz Owners interviews, click here! If you're a business owner who'd like to be featured, email us at hello@bonniebryantcreative.com.